Diplodia tip blight is a common fungal disease of Austrian pine, although Scots, mugo, and red pine may also be affected. The Diplodia fungus infects the growing buds and shoots, causing the newest needles of a tree to be stunted and brown. These needles appear as short brown tufts at the ends of the branches. Small black reproductive structures of the fungus can be seen at the base of these stunted needles. The Diplodia fungus (more properly called Sphaeropsis) also produces spores in fruiting structures that develop on the second-year female cones. These spores are carried by rain throughout the tree. 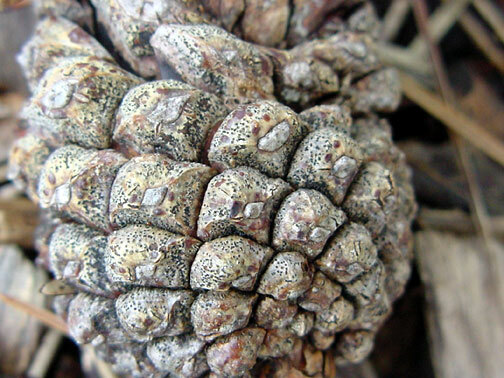 Because it produces most of its spores on the mature cones, Diplodia tip blight often does not show up until trees are 15 to 20 years old and producing the large cones. Once it spreads throughout the tree, though, it can cause the eventual death of all the infected branches. The ornamental value is significantly diminished. The same fungus also causes a canker disease on Austrian and Scots pines as well as white pine and concolor fir. A Diplodia tip blight infection will often progress and start producing cankers on an infected tree. Individual cankers (areas of dead bark) girdle scattered branches, causing them to die. Often resin oozes from the cankered areas. Several strategies can be used to minimize damage caused by Diplodia diseases. Trees should be adequately spaced to promote good air circulation. Vigor should be maintained with mulching and watering during dry periods. Branches infected with Diplodia canker should be pruned out during dry weather. Branches with Diplodia tip blight may be pruned to improve tree appearance, but this will not improve the health of the tree. Fungicide sprays may be used for Diplodia tip blight. Austrian pines are so susceptible to Diplodia diseases that the best way to avoid them is to avoid planting Austrian pine in the first place. 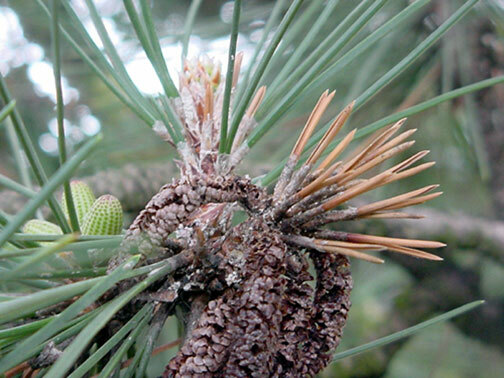 Figure 1: Diplodia tip blight on an Austrian pine branch. Figure 2: Black reproductive structures of the Diplodia fungus on a pinecone. This article originally appeared in the 3/9/2005 issue. Links to this article are strongly encouraged, and this article may be republished without further permission if published as written and if credit is given to the author, Horticulture and Home Pest News, and Iowa State University Extension and Outreach. If this article is to be used in any other manner, permission from the author is required. This article was originally published on March 9, 2005. The information contained within may not be the most current and accurate depending on when it is accessed.